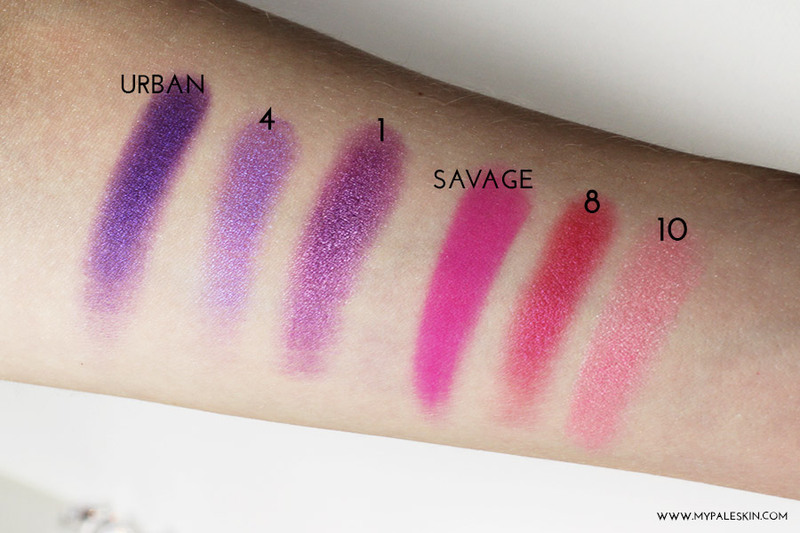 My Pale Skin: Save or Spurge #1: U.D Electric Palette Vs. MUA Poptastic Palette. 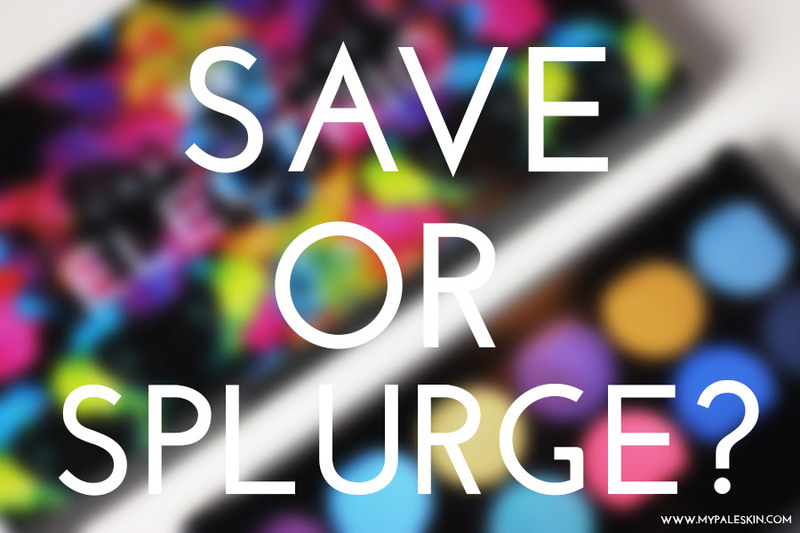 Save or Spurge #1: U.D Electric Palette Vs. MUA Poptastic Palette. I've started a new series on My Pale Skin called 'Learning To Love Colour' and I'm hoping to break out of my 'boring make up' shell and experiment a little more with make up looks and be a little more daring. 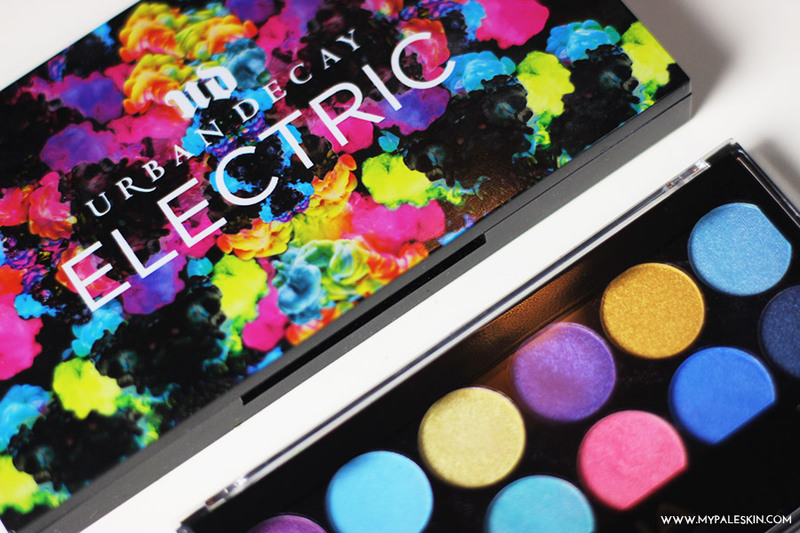 I recently picked up the Urban Decay Electric Palette, and had fun experimenting with it. 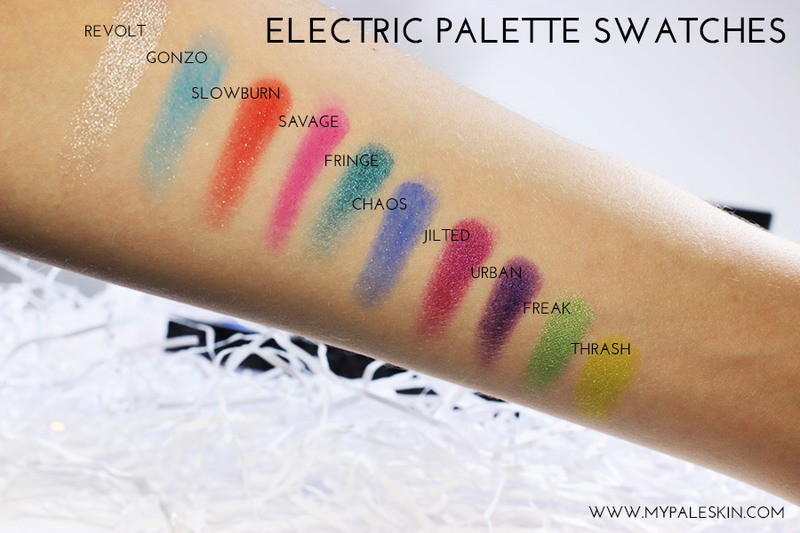 The Electric Palette is a thing of beauty, but if you're not sure if colour is right for you, then why not try out a dupe for a fraction of the price? 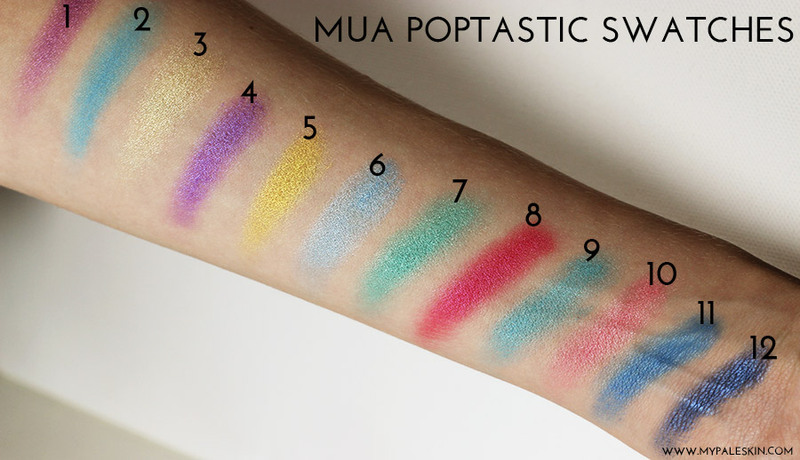 For today's Save or Splurge post, I'm seeing how the MUA Poptastic Palette measures up in comparison. 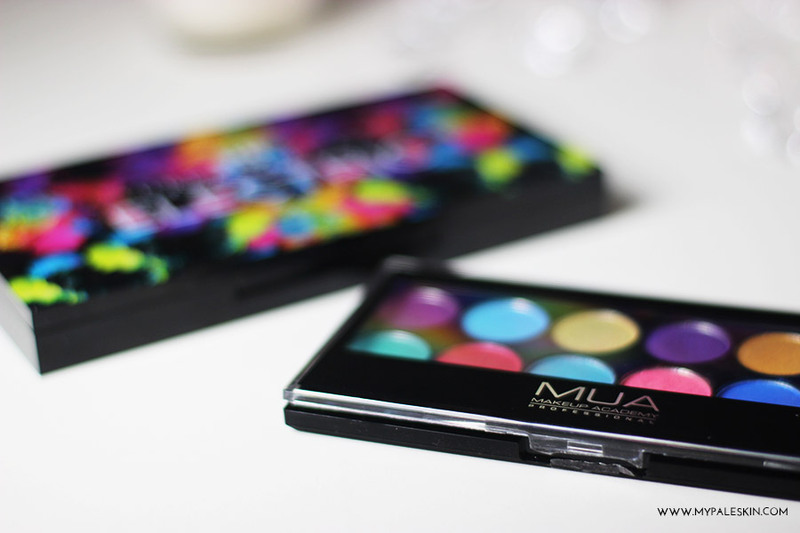 Now the MUA Poptastic Palette isn't a like for like dupe of the Electric Palette as some shades differ, but it does offer a selection that are fairly close. As you can see, the shades aren't perfect carbon copies but they do come fairly close... although with a downside. The MUA palette shades feel a lot different - the shades are much chalkier, have a coarser level of glitter throughout and do give a fair amount of fall out. I also found that they applied unevenly where as the Electric Palette shades apply so much more smoothly with barely any fall out. One of the big differences I noticed between the two products is in the application and blending. 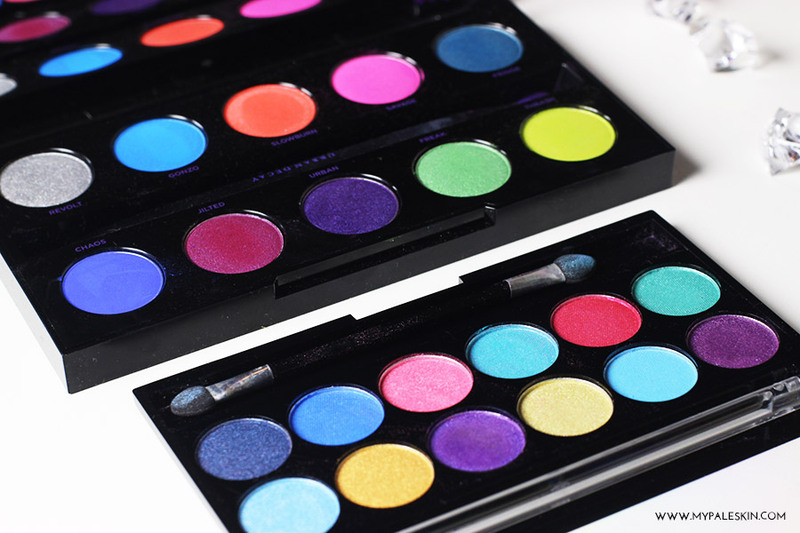 The shades in the Electric Palette are more pigmented and blend out with minimal effort to create smooth transitions, where as with the Poptastic palette, you will have to work that little bit harder to get the colours to blend. There's quite a big difference in price between the two palettes, with the Electric Palette coming in at almost 10x the price... which leaves me with the question - Is it 10x better? Packaging - Yes. 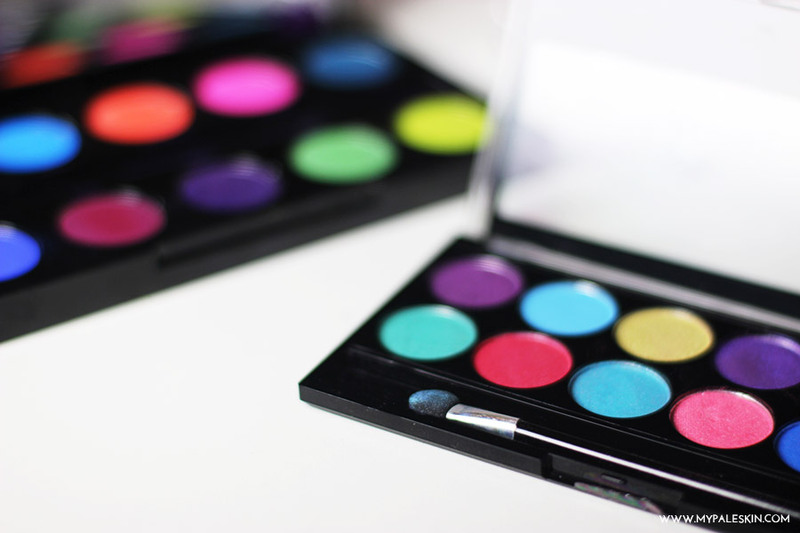 The Electric palette has the most satisfying magnetic 'click' when it closes, it feels a lot sturdier and well made. The Poptastic palette feels cheap and flimsy in comparison. Colour - I'm not sure if I can say the colours are 10x better, but they are richer. Application - As a colour newbie, I did find the Electric Palette much easier to apply. There was less fall out, and they blended more easily. However, does that justify a 10x price increase? I'd say that it depends on what look you're creating. If you're after a really smooth bright eye look, you'd find it a lot harder to get the same look using the Poptastic palette. If all you're after is a simple pop of colour, then I'd save and pick up the dupe. Both of these Palettes have positive and negatives, and are both welcome additions to my collection. However, if you're really looking to add colour to your life and I had to recommend just one palette, in this instance I'd say to splurge and pick up the Electric Palette as it's worth every penny. I'd love to hear your thoughts on these palettes! Have you tried either? let me know in the comments. I think I would splurge, but like you I am learning to love colour! I've got the Vice 2 palette that I asked my boyfriend for for Christmas, and still am yet to really venture out. Hopefully going to just give it a go! 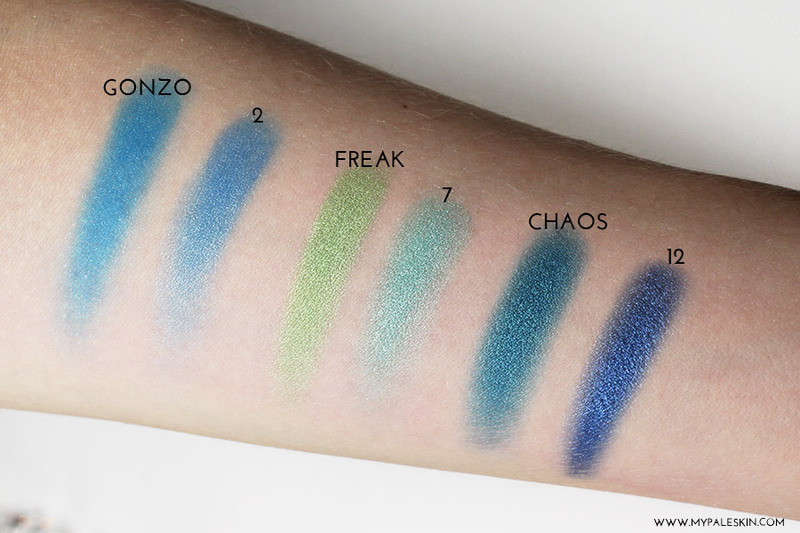 The UD shades do sound a lot easier to apply, but I don't know if I would splash out just for that reason. I think I also prefer the MUA shades! I would splurge, there's some difference between the shades of Electric and Poptastic, I like the bold and bright colors of Electric better. I would love to splurge and get the high end palette but to be honest, I don't wear much colour either so I think it would be a waste - I would defo get the MUA one. I've been wanting to experiment with colour but was thinking of of purchasing a cheaper palette - might have to splurge instead! The Electric Palette looks amazing! I'm not really one for bright colours either, but those shadows are so pigmented! If you're going to try colour then you may as well go all the way - I think I would splurge. Back to School Make Up For Pale Skin! 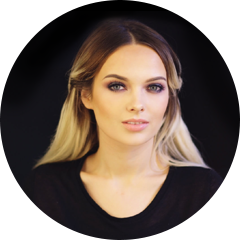 Urban Decay Announce Naked 2 Basics! Think Pink: A Simple Summer look! Bourjois Cream Blush Healthy Glow 02 Review!